The mutation of the gene can result in the development of a type of eczema known as atopic dermatitis. AN INTERNATIONAL RESEARCH Project has identified a new genetic mutation that helps explain the development of eczema. Trinity College researchers in collaboration with Dundee University found that the mutation in the gene Matt/Tmem79 led to the development of spontaneous dermatitis in mice. The gene is involved in producing a protein, now called mattrin. 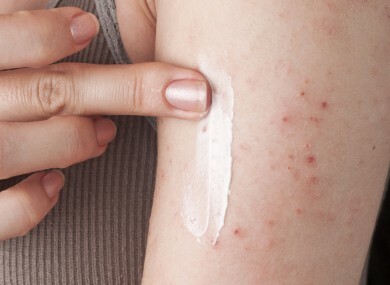 This can result in the development of a type of eczema known as atopic dermatitis (AD). However, protein expression was defective in individuals with the mutant gene leading to skin problems. Following their discovery, scientists looked for a similar pattern in people. They screened a significant number of patients that suffered from AD, comparing them with unaffected control patients, and found that the equivalent human gene MATT/TMEM79 was similarly associated. AD is the most commonly diagnosed skin condition, affecting up to 20 per cent of children. As well as having a genetic basis, the condition can also be triggered by environmental factors, such as pet fur, pollen and house dustmites. Dairy products, eggs, nuts and wheat have also been linked to the condition. The results of this study are published in the November issue of the leading peer-reviewed journal in allergy research, The Journal of Allergy and Clinical Immunology. This study highlights the value of research in which genetic patterns in animals provide a starting point to investigating human disease. This strategy enables us to identify new genes that are relevant in human disease and then examine the function of these genes during inflammation. This approach will ultimately help us to understand the factors leading to inflammatory diseases and assist in the development of new therapeutic strategies. Email “New genetic mutation linked to eczema”. Feedback on “New genetic mutation linked to eczema”.